A fun shot of the GPJ-Cal Poly interns and alumni in Las Vegas working the Cisco GSX. Cal Poly RPTA Students Candice Walton and Jack Elder under Dr. Kevin Lin's direction presented their research project "The Impact of Internet Usage on Event Attendees Satisfaction and Expenditure" today. 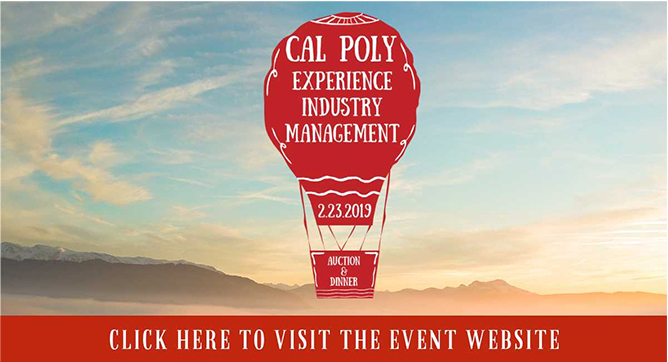 Cal Poly's RPTA has changed its department name to Experience Industry Management — making it the first of its kind in California, blending tourism, travel, experiences, social media, culture, sports, outdoor rec., and events! Dr. Keri Schwab and Experience Industry Management Students Heading to Dominican Republic in March 2017. Dr. Keri Schwab leads student class to Dominican Republic for second year in a row! Thank you Industry Members for attending Cal Poly Experience Industry Management's Career Fair! Thanks to our industry supporters for participating in this year's Career Fair Event - Rho Phi Lambda appreciates all of the support putting on this excellent event! Dr. Marni Goldenberg and her RPTA 101 Intro to Recreation, Parks, and Tourism Administration Students hiked today in the beautiful San Luis Obispo Mountains! Industry leaders Robert Vallee, Jr. Chairman & CEO of Project Worldwide, and Chris Meyer, CEO George P. Johnson, a Project agency, to present "Experiences that Power Brand Devotion" May 23 at 2:10 p.m. 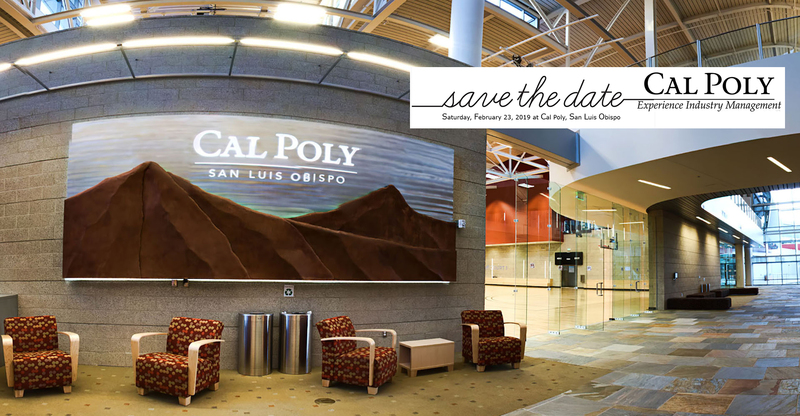 This year, EIM celebrates its annual 'Learn by Doing' event with a theme of "the Sky's the Limit" on the Cal Poly Campus in the Multi-activity Center [MAC] on Saturday, February 23, 2019. Industry leaders Cisco Systems Senior Director of Global Sales Events and Talent Alex Sapiz; Salesforce Vice President of Strategic Events Catherine Simmons; and George P. Johnson CEO Chris Meyer presented "The Power of Experiential Marketing" on February 28. EIM's vision is to promote healthy lifestyles, protect memorable places, and facilitate life-enhancing experiences. Live. Protect. Explore. Involve life balance, sustainability, service, leadership, innovation, curiosity, creativity, diversity and inclusivity, community and collaboration, professionalism and integrity. Join us in recognizing Launch, Inc. for providing vital gift support to the Experience Industry Management Department. Students studying RPTA choose from the following: Event Planning & Experience Management, Hospitality & Destination Management, Sport & Recreation Management. Experience Industry Management boasts an award-winning faculty and staff who are devoted to student success, dedicated to Learn by Doing, and committed to fostering a sense of community. 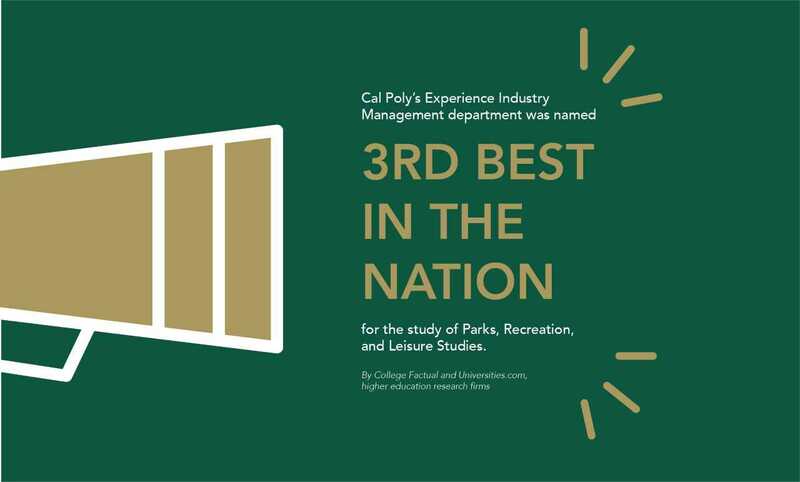 Cal Poly EIM Ranked #3 by 2019 Best Parks, Recreation & Leisure Studies Colleges in U.S. Experience Industry Management ranked #3 in unique ranking of colleges according to each student's interests by College Factual - 2019 Best Parks, Recreation & Leisure Studies Colleges in U.S.
RPTA alumni work in settings where their “offices” are often unconventional —whether a Napa winery, AT&T Park (pictured left), a beachfront hotel, or a kayak in Morro Bay. Cal Travel Offers Scholarships and Internships. EIM Students embrace professional development opportunities at Cal Travel Summit. Cal Poly RPTA Students Volunteered at Super Bowl 50! Thirty Cal Poly RPTA students volunteered as members of the the Super Bowl Host Committee "greeters" in San Francisco last weekend for Super Bowl 50! Experience Industry Management Department Annual Auction and Dinner Fundraiser Announces! Saturday, February 23, 2019 at Cal Poly! All of the Experience Industry Management Department's interactions involve a set of core values. To advance leadership and knowledge in recreation, parks, and tourism. The Recreation, Parks, & Tourism Administration undergraduate program is accredited by the Council on Accreditation of Parks, Recreation, Tourism and Related Professions (COAPRT). Important Information from the Council for Higher Education Accreditation (CHEA) regarding degree mills. Degree mills and accreditation mills. 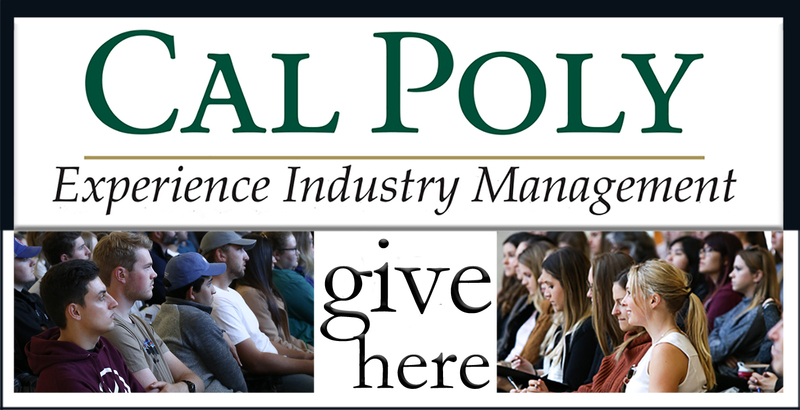 NEWS for Cal Poly Experience Industry Management - Who's Who and What They Do! EIM Student Gabby Borges Awarded The Mary Stuart Rogers Foundation Scholarship! The Power of Experiential Marketing: Q&A with Industry Leaders Feb. 28. 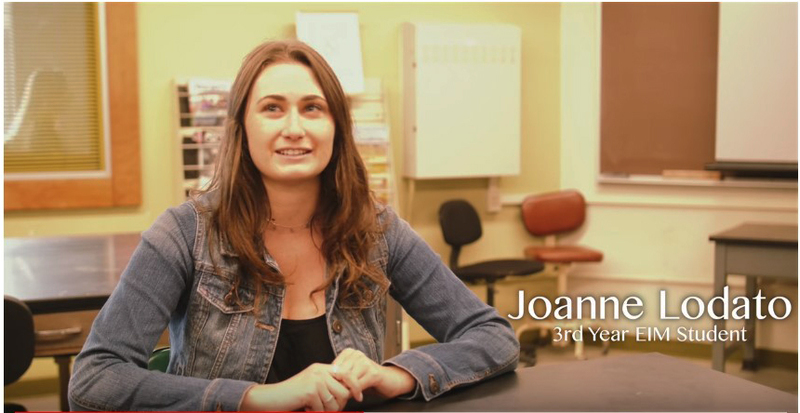 Joanne Lodato shares vision video produced by Sam Snowden.